Principal Cast : Dwayne Johnson, Bruce Willis, Channing Tatum, Jonathan Pryce, Byung-hun Lee, Ray Park, Adrianna Palicki, Elodie Yung, Ray Stevenson, DJ Cotrona, Luke Bracey, Walton Goggins, Arnold Vosloo, Joe Mazello, RZA, Matt Gerald. Synopsis: After being betrayed by their own government, the GI Joes must fight to restore their name against Cobra agent Zartan, who is secretly disguised as the American President. What we think : Mind-numbing action film collapses in a heap when approached with any logic, delivers requisite sound and fury in overloaded doses, and becomes merely a bloodless exercise in tedium and excess. Perhaps the years between me watching the original 2009 film, Rise of Cobra, and this one have allowed me to foster an appreciation for quality action over just action for the sake of it, but Retaliation is one jumbled mess of a film. Nothing makes sense, it’s all too fast and the story is incomprehensible. From the director of that Justin Beiber movie. I didn’t think I’d ever say this, but I think I’ve found a “mindless action spectacle film” I didn’t really like. I mean, really didn’t like. I’m as keen as the next teenage boy to see a film where the opening studio logos include Hasbro as a production partner (Transformers, Battleship), because you know stuff is gonna go boom, but GI Joe: Retaliation was one mindless spectacle of a film where there was virtually no single redeeming feature. I’ve never been a fan of the GI Joe franchise, largely because I was more into Transformers and Thundercats and Robotech than the patriotic American military parallel, but I understood and at least enjoyed GI Joe: The Rise of Cobra back in 2009 for what it was: a CGI-heavy entertainment that asked little of me other than to sit back and enjoy. Coming into Retaliation, I guess I expected more of the same, and in this I received exactly what I was hoping for; only this time the characters, the story and the action made no sense whatsoever. So… wanna go get hammered? 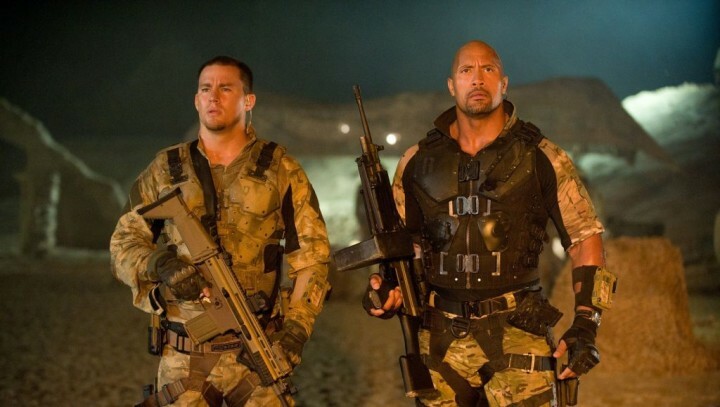 After a successful mission to retrieve some nuclear warheads from a secret bunker, the GI Joe taskforce, led by Duke (Channing Tatum) and Roadblock (Dwayne Johnson) are ambushed by a military strike on their base, wiping out almost the entire group. The US President (Jonathan Pryce), who is actually COBRA operative Zartan (Arnold Vosloo) in disguise, ordered the attack, to discredit the Joe’s and bring the state of war to a head amongst the other nuclear nations. Roadblock, together with fellow Joes Flint (DJ Cotrona) and Lady Jaye (Adrianna Palicki), make their way back to the States to meet up with retired General Colton (Bruce Willis), and stop Zartan and COBRA from unleashing a new and powerful weapon on the Earth. 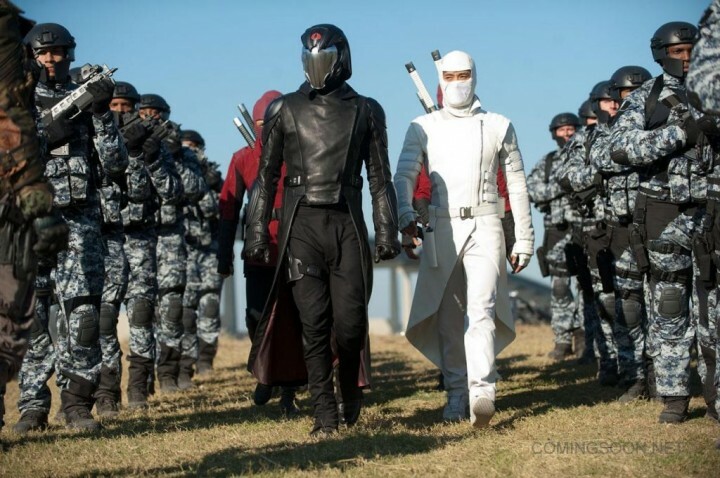 Meanwhile, Storm Shadow (Byung-hun Lee) is rescued from captivity by COBRA operative Firefly (Ray Stevenson), as well as COBRA Commander (Luke Bracey), and something about Snake Eyes (Ray Park) avenging something or some other such nonsense. It didn’t really make much sense. Brian, when we take over the world…. I’m giving you Uzbekistan. Nobody else wants Uzbekistan. As much as I’m willing to give most films the benefit of the doubt when trying to entertain me, they should go as far as they can to allow me actually understand what the hell was going on. Retaliation is as large an action spectacle as you expect, filled with as many grizzled Joes, deadly ninja warriors and cool action set-pieces as you could ask for. 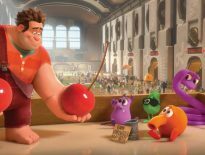 The fact that the story and plot make no sense whatsoever is perhaps an indictment on the franchise’s inability to convert anybody other than devotees to its cause; the first film was simplistic, larger than life fun, yet Retaliation tries so hard to up the stakes, make things grimmer than ever, that it reduces the story to a cut-and-paste megalomaniac taking over the world effort that is as inert as it is loud. Most franchise films go some way to educating the uninitiated into their world, lest the unfortunate plebs (such as myself) find themselves lost amongst the in-jokes, self-references and copious characters. Most films do this rather well, but every so often you get a film where narrative elegance, subtlety or even basic common courtesy to the audience is thrown out the window in favor of slash-and-burn filmmaking, where explosions become the chapter breaks and characters retain only the most basic approximations of actually being human beings. Retaliation’s story just boggled my mind. Normally, I’m as up for gratuitous spectacle like nobody else, but the characters and story just confused me, made my head spin, and ultimately left me wondering whether I was perhaps better to go shove my eyes in a blender and hit puree. From the get-go, the film hits the ground running and doesn’t really ever slow up. The characters are introduced with such slip-shod brevity it’s little wonder I had no idea what The Rock’s character was even called until about half way through the movie. 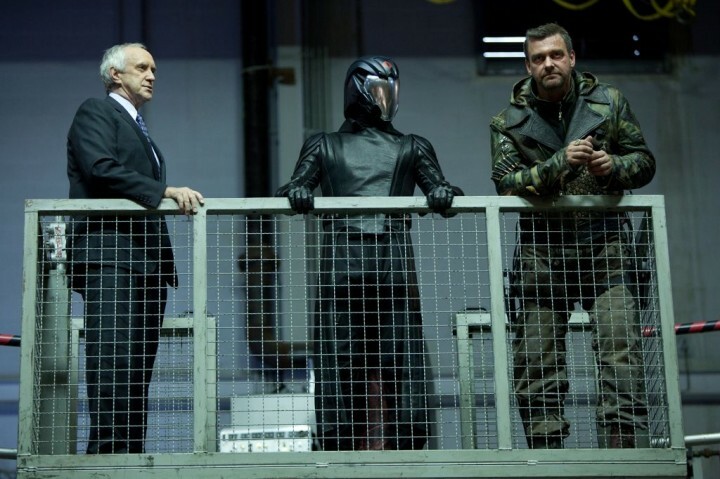 The story eschews development for spectacle but misses the crucial factor of having any set-up whatsoever for the major players – I guess we’re expected to go rewatch Rise Of Cobra to enjoy this film, which, outside of a few selected trilogies and other franchise installments, shouldn’t have to be the case. Nobody has to rewatch the entire James Bond back-catalog just to enjoy Skyfall. I used to do this kind of thing every week. Don’t question the Willis, okay? Even with such a lack of set-up, the film’s action-pieces are largely rote, feeling more like a grab-bag of Asian cinema blended with 80’s trashy B-flicks, although done with a much larger budget. One shining light in this film is a breathtaking mountainside brawl between Storm Shadow and Jinx (Elodie Yung), and a troupe of COBRA henchmen, all dangling from cables and battling it out with swords. It’s insane, it’s entirely fantasy, but it’s one of the best moments in the film. The rest of the battles, brawls and explosive combat sequences are generally tiresome, lacking in energy and are also largely bloodless. In fact, I don’t recall seeing an ounce of blood at any point during this entire thing. People get sliced and diced by Snake Eyes’ sword, another character is run down by a car (and yet still gets to his feet and scrambles away) and others are near-obliterated by inordinate amounts of gunfire, and yet there’s no blood or gore to be found. It’s the PG13 action film writ large, folks. Easy for teenage boys to go see, hard for adults to watch. Wow. What a party. I’m so overdressed. John M Chu, best known as the guy who directed Justin Beiber’s first (and only, please) feature film, Never Say Never, has obviously figured out that the story won’t hold up under scrutiny, so does his best to avoid having to confront that little problem. It’s action, action, action, bigger, faster and louder than before, as the Film Destruction Scale looks in danger of being breached for being too enormous. Chu’s got a nice visual style, I guess, but it quickly becomes lost amongst the visual effects (which range from mediocre to excellent) and the hodge-podge editing style so overused these days it’s almost a cliche unto itself. The film certainly looks spectacular, but the confusing narrative mitigates this with ease. I’d like to have seen Chu tone back the over-edited ninja battles between Snake Eyes and Storm Shadow, dial back the rapid over-editing on the gun battles and virtually every major action sequence, which appear to have been shot with about fifty different camera angles and edited to include each one. Waterloo Station bites the dust. 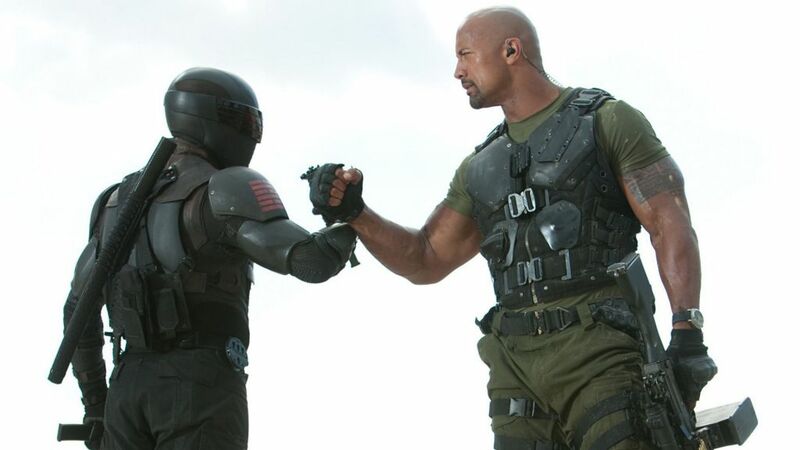 GI Joe: Retaliation certainly lives up to its nomenclature, and delivers occasionally thrilling moments of action, yet founders wildly through an illogical and joyless narrative, dull and stilted characters, and even worse dialogue. Not even the inclusion of a seemingly indifferent Bruce Willis can liven up proceedings, which leaves Retaliation mired in tiresome, noisy inanity that fails to excite in even the smallest way. It makes me want to revisit the original film to see if I still feel the same way about that one – people keen on the GI Joe franchise will doubtlessly enjoy this one, but casual viewers (such as myself) will probably be okay to skip it and not miss a lot. I love that London gets destroyed and no one bats an eye. They don't even talk about it again after it happens… Such a terrible flick. The Rock can't even save it and just as Willis said in an earlier interview, he's bored with action flicks and this one really showcases that boredom. Thank god for Palicki in the dress (and jogging outfit). At least that was interesting to watch. I think there's a major editorial post to be written by somebody about Bruce Willis' apathy towards film and his fans. He's really got an attitude problem these days, and my thinking is that if he's bored with making movies, he should just stop – leave it alone and get out. You can really tell in every film he's made in the last four or five years that he's jst phoning it in: Die Hard Russia, RED2, Expendables, this; hell, every film he's made recently he looks like he can't wait to simply grab his paycheck and go back to his mansion and watch sports. Oh, yes..hell yes about Bruce. I mean I think it is less to do with him as it is he's tired of the same type of director approaching him with directions like, "..do what you did in that film only don't smile as much…" I mean that is by far the death of any actor. That's not to say there isn't a whole helluva lot of other things going on in the old boy but I'd wager he needs what all actors need – a director confident enough to make a decision about what they want, adjust all actors the same, with the same ferocity and clarity of mind and action as any other, from the walk on to the seasoned veteran. You should hunt down my article on Bruce's current woes, it's a cracker. I agree with you that Willis probably needs a director with the balls to stand up and say "hey Bruce, give us MORE!" but those would be few and far between. Still, he just seems to be going through the motions, and I, for one, am sick of it. Hey Rod, almost agree with your entire review with our differences of opinions far too minute to require needling. 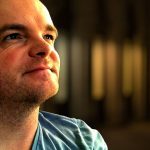 I think your line, "..which leaves Retaliation mired in tiresome, noisy inanity that fails to excite in even the smallest way…" is both spot on and nicely put -and- a little slight of hand as I'm sure you'll be the first to admit that the $371M in worldwide profits out of the $130M budget does actually tell us that a great many did indeed find the film exciting, albeit for reasons that you and I would befuddled to guess. I think we are right on with how we feel about story being thrown under the bus for the sake of spectacle here, and CGI is no replacement for actual locations and events and actors being pressured to react to them or get banged up in their malaise, but this is just one example of many big budget concept flicks that live and breathe in the success/failure of situational violence so far removed from proper screenwriting, enticing plot and character development, hell even as you point out the big guns they bring in (Rock) and (WIllis) only modestly elevate the thing ever so slightly above as you describe, "…Asian cinema blended with 80′s trashy B-flicks…" I would dare to suggest this sequel does best the crap catastrophe of the first film, but I would prefer one large can of petrol, one box of Ohio Blue Tip Strike anywhere matches, comfortable lawn chair with requisite cup holder for well blended tequila sunrise sans fruit and umbrella, and one gully with a ridge just so as to observe the ensuing fire down below of these two films in their greatest potential to entertain – a bonfire. Cheers! As you know, I'm a huge fan of empty, vacuous blockbusters (Armageddon et al) but this one lost me. I just couldn't get into it – it was too loud, too stupid and silly, and lacked any semblance of reality (which probably puts me outside the demographic for it) and consequently, I gave up on it. Story is always key, and Retaliation just utterly lost me. I feel the same as you do. I really liked the first one, but this one was a huge disappointment and the 3D didn't add anything and made the action almost impossible to follow. Yeah Rodney I have the same problem with the 3D. For whatever reason I just can't watch one without getting a headache. I tried to go to one with my granddaughter a while back, but unfortunately I had to leave and take her to a different movie. Kinda irritating really. 3D makes my eyes strain (I don't wear glasses, I have no need to) and gives me a tension headache after a while. Perhaps the more I watch 3D the more my eyes will become used to it, but at the moment, I can't tolerate it for more than an hour or so, which rules out all but the shortest of films. Thanks for dropping in, Lynn! !